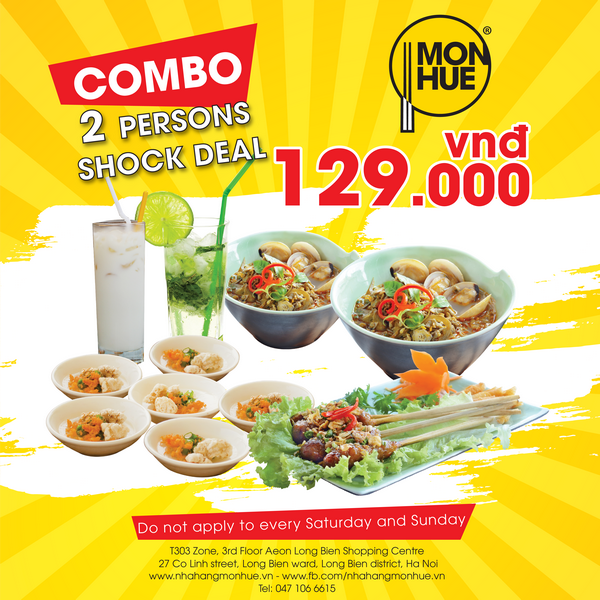 From 12th Dec to 25th Dec, 2016, Mon Hue's unprecedented preference is for all customers "Combo 216.500VND; only 129.000VND" for 02 persons. + 02 Rice noodles with Clams and Baby Clams dishes. + Half Grilled Pork Balls served with Rice Paper & Vegetables. + 01 ice lemonade glass, 01 soya milk glass. + Not applied for weekends. Come to Món Huế restaurant and enjoy now!